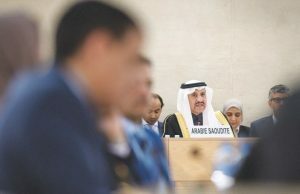 The United Nations Educational, Scientific and Cultural Organization (UNESCO) works with countries around the world to identify and protect cultural and natural places that merit recognition as part of the common heritage of humankind. 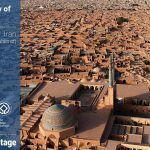 Until now, 19 Iranian sites have been inscribed on UNESCO’s World Heritage List. 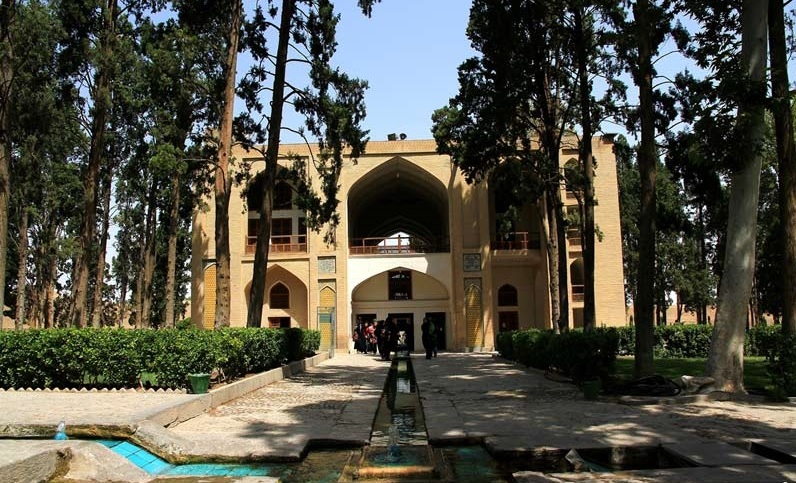 Iran’s Persian Garden is one of the sites inscribed on UNESCO’s List in 2011. They exemplify the diversity of Persian garden designs that evolved and adapted to different climate conditions while retaining principles that have their roots in the times of Cyrus the Great, 6th century BC. Always divided into four sectors, with water playing an important role for both irrigation and ornamentation, the Persian garden was conceived to symbolize Eden and the four Zoroastrian elements of sky, earth, water and plants. 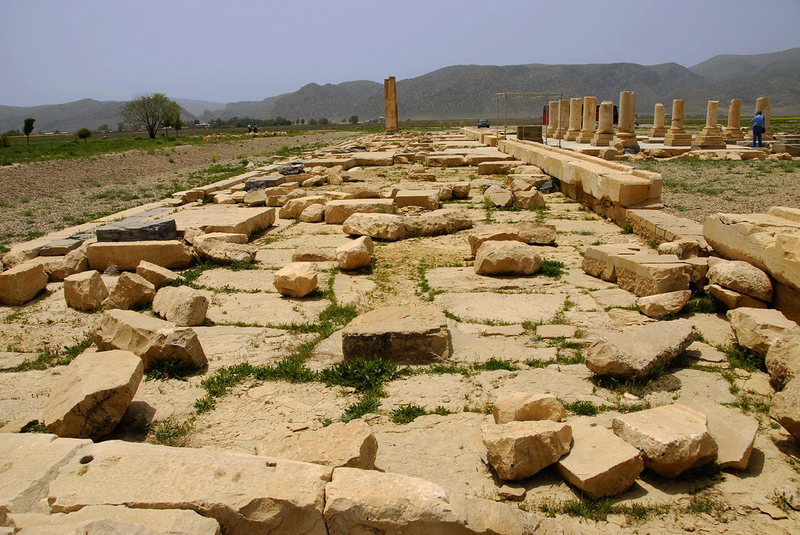 Cyrus (or Cambyses) the Great’s palace garden at Pasargadae c550 BC. The paths are conjuctural. Water channels define the space between two palaces. There are two small pavilions. This is the earliest known remnant of what became the classical Persian garden. It is likely to have been planted with cypress, pomegranate and cherry. The plan is based on David Stronach’s Pasargadae: a report on the excavations, (Oxford, 1978). 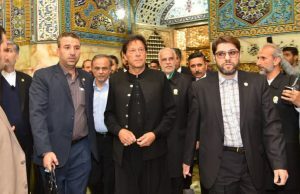 The oldest Persian garden of which there are records belonged to Cyrus the Great c546 BC, in his capital, at Pasargadae in the province of Fars, from which Persia takes its name, to the north of Shiraz. The garden had a geometrical plan and stone watercourses. Cyrus the Great destroyed the Babylonian empire and established the Achaemenid Empire. It was an empire of great gardeners but it is thought that the gardens were used as places to admire from an upper window, or take an occasional walk. Eating and other social activities would take place in the garden pavilions, catching the breeze but protected from the sun. Gardens contained fruit trees and flowers, including the lily and rose. 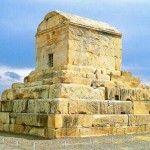 In 330 BC Alexander the Great saw the tomb of Cyrus the Great and recorded that it stood in an irrigated grove of trees. 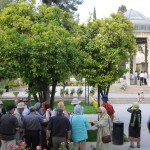 Donald Newton Wilbur wrote (in Persian gardens and pavilions, 2nd edn 1979, p84):’The Bagh-i-Eram owes its continuing popularity to its groves of orange trees, its long axis of stately cypresses, and the impressive structure which has been the scene of Qashqai hospitality so freely offered to so many visitors. Every few years more of the orange trees fall victim to heavy frosts…. It is easy to imagine the earlier owners leaving the main pavilion and strolling down the water-lined avenue as far as the lower pavilion, where they rested from their exercise’. 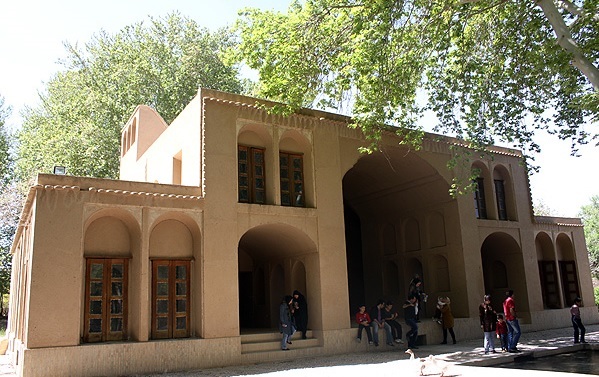 A garden was made near the village of Fin by Shah Abbas 1. Most of the present garden, which is in good condition, dates from the nineteenth century. Approx 1.5 ha is enclosed by a high curtain wall with circular towers. Water is supplied by a spring and a qanat. The plan is a sophisticated charhar bagh with grids of canals and paths. The canals are lined with blue-green tiles, a colour which contrasts wonderfully with the desert outside the garden walls. In her book on Gardens of Persia (2003, p 94), Penelope Hobhouse comments that the Fin garden can hold its own ‘with the great gardens of the world’. 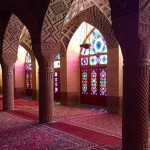 But the Lonely Planet guide to Iran (2001, p 279) reports that some visitors are disappointed. The garden needs a restoration plan and could become a UNESCO World Heritage site. 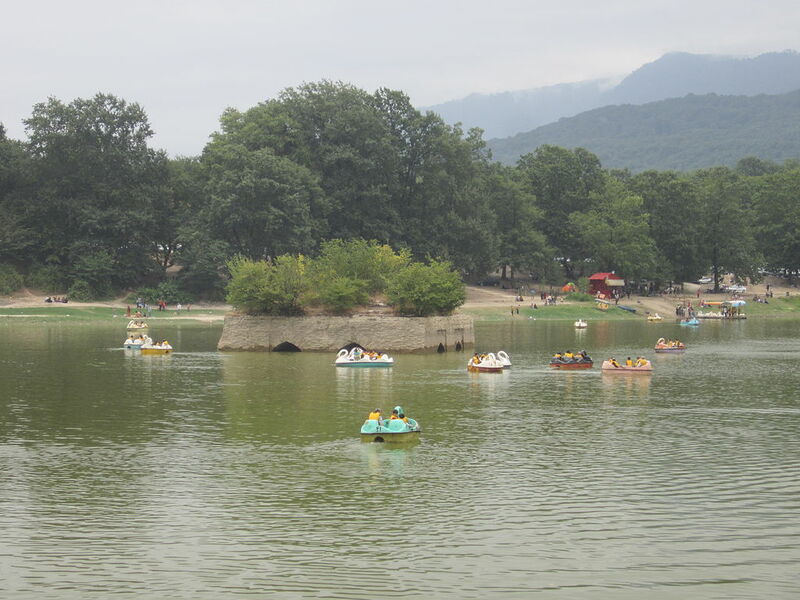 Located in the southeast of Behshahr in the midst of the forest, Abbas Abad Garden include a lake with an area of about 10 hectares. 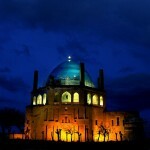 Due to the fact that in past, Shah Abbas Safavid was responsible for constructions in this vicinity, thereby the name. 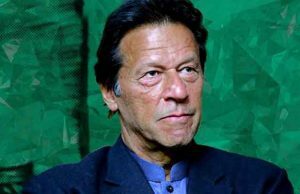 Being easily accessible by vehicle, in addition to a resting area, ancient relics, sweet water and pleasant weather make this region a must place for tourists to visit. 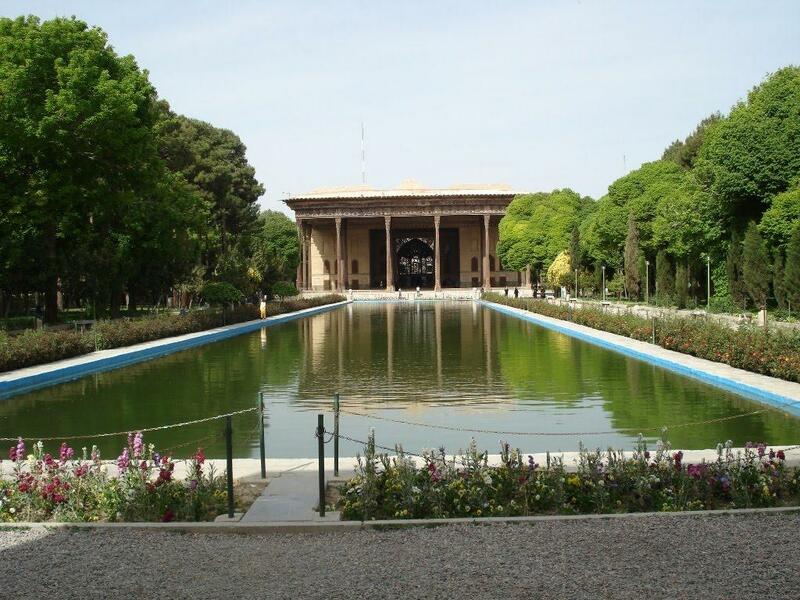 This remarakable garden was made in the 1890s by the Governor of Kerman. It is a rectangular green oasis surrounded by brown desert. There are pavilions and a central canal. The residence for which it was built is now derelict. The design looks best in an aerial photograph. 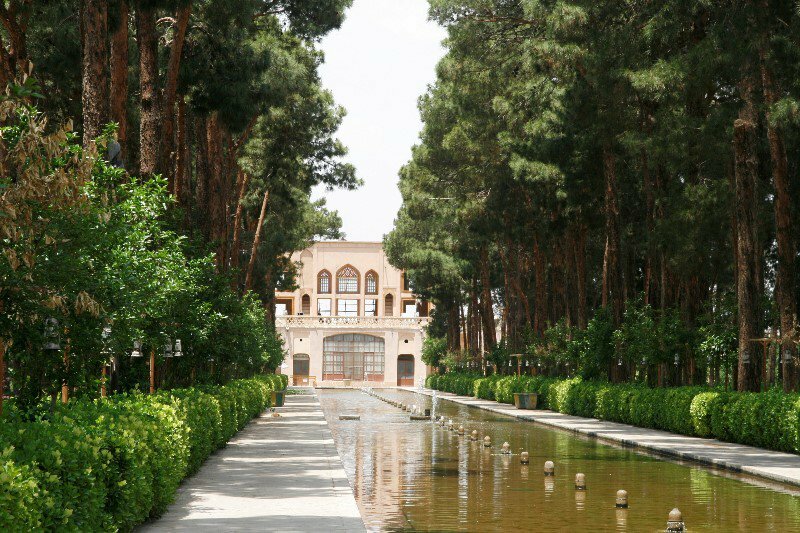 Pahlavanp Pour historical Garden is one of a kind and has been constructed based on the design of original Iranian gardens. The historical buildings in this garden have created an especial bond between the nature and art of architecture. This garden covers an area of roughly five hectares, and dates back to the Qajarid era. It is situated in the city of Mehriz in Yazd Province, central Iran. 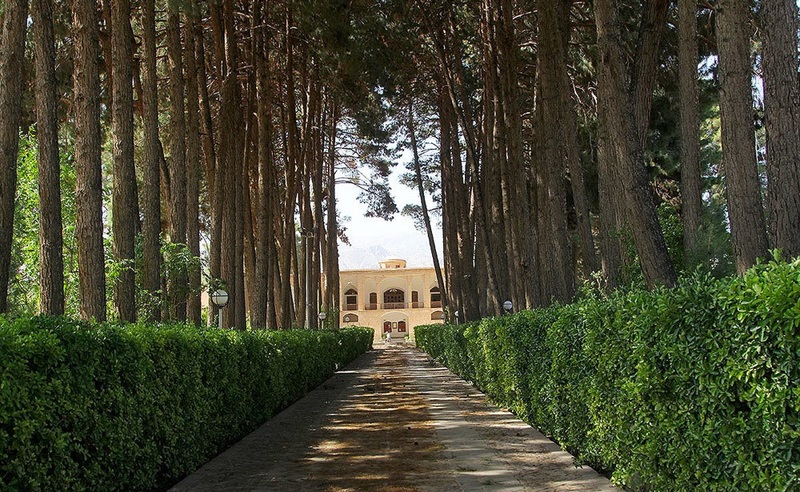 Although this garden has been constructed in the Qajarid era, the hallmarks of the architectural styles, belonging to Zandieh era, are evident in different parts of this orchard. 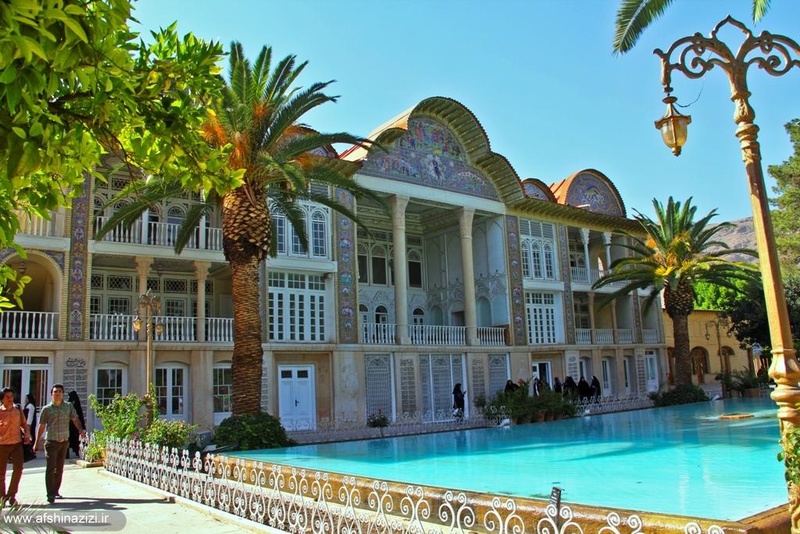 This garden is owned by the Yazdi businessman, Ali Pahlavan-Pour. Due to its unique features, this garden has been registered among Iran’s historical monuments in the year 2002. 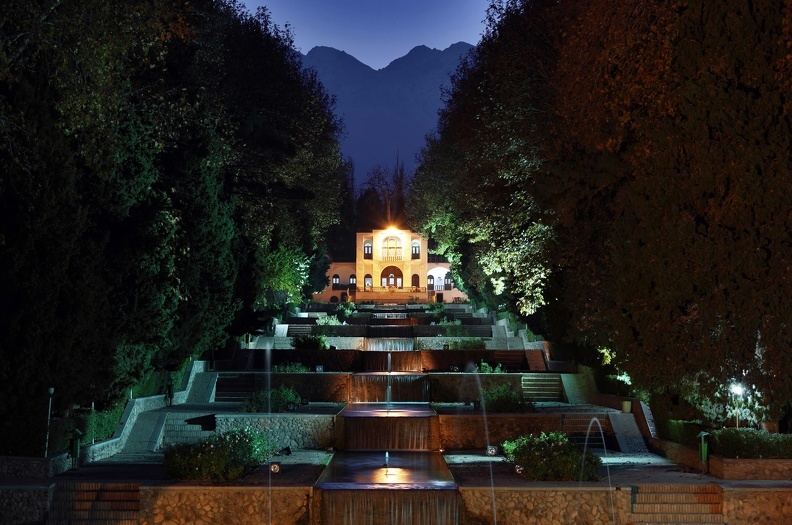 The garden was also enlisted among the global heritage, in addition to eight other Iranian gardens, in the year 2011. Akbariyeh Garden and mansion is a historical monument of Birjand, South Khorasan Province. 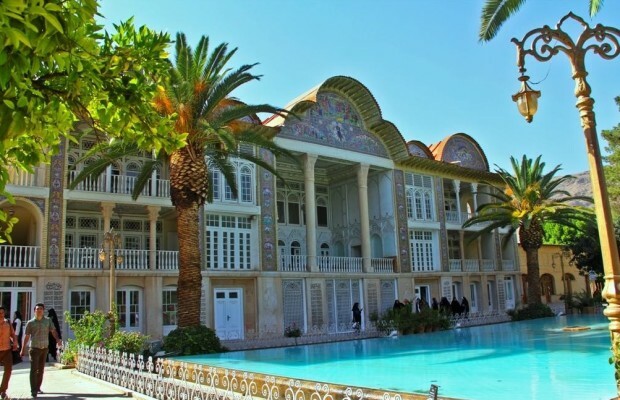 The garden was built during Qajar Dynasty and has been registered in UNESCO World Heritage Sites in 2011.